You read correctly: wooden sunglasses are out of fashion. Or rather, this is possible. You know them, the lists with the latest trends for 2017. In 2016, big glasses were in, but this year, that’s not done. All this chatter about trends doesn’t fit Lumbr. 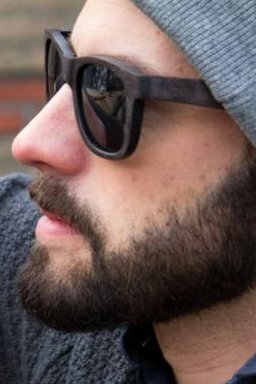 Lumbr’s wooden sunglasses are for people with a unique style. Wear what you like! As far as we’re concerned, all lists with 2017 trends can be binned. For Lumbr, the 2017 trend is: wear what you like and what suits you. If you choose wood, you choose something special. Are you going skiing soon? Choose for our wooden sunglasses Shine. You will notice, your wooden sunglasses will stand out. You can also wear Shine, the wooden sunglasses from Lumbr, during summer 2017. The sturdy frames combined with the dark UV400-glasses give the wooden sunglasses a unique appearance. The sunglasses can be delivered in beautiful light bamboo wood, classic oak, or very dark walnut. Every type of wood has its own character.